Chronic cardiovascular disease is associated with air pollution exposure in epidemiology and toxicology studies. 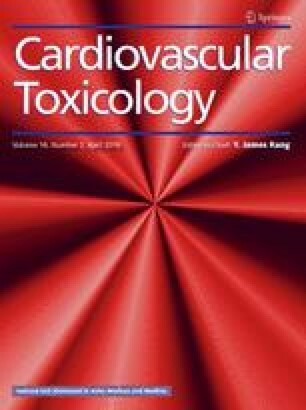 Inhaled toxicants can induce changes in serum bioactivity that impact endothelial inflammatory gene expression in vitro and impair vasorelaxation ex vivo, which are common precursors to atherosclerosis. Comparisons between single pollutants and common combustion mixtures, in terms of driving such serum inflammatory and vasoactive effects, have not been characterized. Healthy C57BL/6 mice were exposed to a single 6-h period of contrasting pollutant atmospheres: road dust, mixed vehicle emissions (MVE; a combination of gasoline and diesel engine emissions) particulate matter, mixed vehicle emissions gases, road dust plus ozone, road dust plus MVE, and hardwood smoke. Serum obtained from mice 24 h after these exposures was used as a stimulus to assess inflammatory potential in two assays: incubated with primary murine cerebrovascular endothelial cells for 4 h to measure inflammatory gene expression or applied to naïve aortic rings in an ex vivo myographic preparation. Road dust and wood smoke exposures were most potent at inducing inflammatory gene expression, while MVE atmospheres and wood smoke were most potent at impairing vasorelaxation to acetylcholine. Responses are consistent with recent reports on MVE toxicity, but reveal novel serum bioactivity related to wood smoke and road dust. These studies suggest that the compositional changes in serum and resultant bioactivity following inhalation exposure to pollutants may be highly dependent on the composition of mixtures. Mario J. Aragon and Izabela Chrobak have contributed equally to this work. The online version of this article (doi: 10.1007/s12012-015-9325-z) contains supplementary material, which is available to authorized users. This study was funded by Grants from the National Institutes of Health (R01 ES014639, R01 HL114839, HL115106, T32 HL007736) and the Environmental Protection Agency (RD-83479601-0). The views expressed in this document are solely those of the authors, and the US EPA does not endorse any products or commercial services mentioned in this publication. The authors confirm that they have no conflicts of interest, financial or otherwise, with the contents of this manuscript. Studies were conducted with full approval by the Institutional Animal Care and Use Committees of both the University of New Mexico and Lovelace Respiratory Research Institute. Forchhammer, L., Møller, P., Riddervold, I. S., Bønløkke, J., Massling, A., Sigsgaard, T., et al. (2012). Controlled human wood smoke exposure: Oxidative stress, inflammation and microvascular function. Particle and Fibre Toxicology. doi: 10.1186/1743-8977-9-7.